Too many startup restaurant entrepreneurs leap before they look. Following passion without doing the necessary research required to actualize their dream of opening a restaurant is a disaster on the horizon. If you want to be a restaurant owner, you need to know two things before you get started, how much it's going to cost to open and how much of your own money do you have to put in. Without this information you have no idea where to start or if you need outside investors or loans. In all likelihood, you'll run out of money before you get out of the gate! This guide shows you how to estimate your personal investment and teaches you how to project total startup investment for your restaurant. Opening a restaurant takes money. The scope of your restaurant concept naturally must conform to a budget. A good preliminary step before you even start writing a business plan, is to take note of how much money you personally have to invest in this new restaurant. Knowing how much you have to invest helps to determine if you'll need outside investors and if so, how much of an investment you'll need. Estimating how much of your own money you're willing to put into the business also helps you set a limit. Starting a business can be an addicting rollercoaster of highs and lows. Without setting a limit for yourself, before you start, could mean burning through more money than you intended, putting you at risk for financial hardships that can last a lifetime. How much of your own money you have to invest will shape all your decisions moving forward, so it's important to know where you stand. How Much Can I Afford to Invest in a Restaurant Startup? Much of the answer to the question of how much money you have to invest involves analysis of your personal finances and your stomach for risk. Your choice of business structure (LLC, Corporation, or Sole Proprietorship) and the way you put your money in (for example, loaning your business the money or investing your retirement money in shares of your business) may make other benefits or tax write-offs available. When you get closer to that choice, you can analyze the cost-benefit ratio. This is just an initial exercise, to get you thinking about where your money is, generally how much you have available. And most importantly, how much you're willing to part with to fund your new restaurant venture. 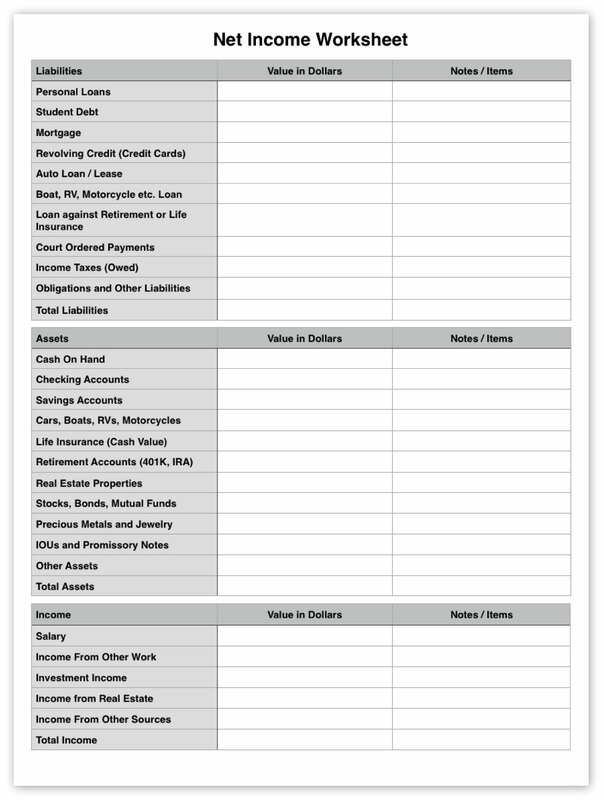 The following worksheet will help you calculate your Net Worth, that is, the value of your assets after all liabilities are accounted for. Once you have a grasp on what your net worth is, you can make an informed choice about how much of it you can risk on a new restaurant. The research required to write your business plan will help you identify the various costs involved in your restaurant startup, but before the formal business plan is undertaken and it's a good idea to start thinking about costs by estimating the cost of researching your business plan. When beginning your journey to restaurant ownership, you will need to take your time investigating before you make important decisions. Things like mileage from driving around, lost wages from not working your regular job and fees paid to consultants and other professionals (for example legal advice and market research) should be accounted for as much as possible and added to your estimated startup cost. These initial costs encountered while developing the first draft of your business plan will likely be funded by you directly. If your business plan is going to attract investors or help you get loans, you've got a lot of work to do on your own first. Giving yourself a budget and a timetable to develop your business plan allows you to structure your endeavors and gives you a clear sense of purpose. The more detailed and accurate your business plan, the better your chance of having a successful restaurant opening. Organizing all the anticipated costs in a spreadsheet will help you see a live total as you add and adjust figures. Unfortunately, no matter how well you anticipate costs, there will always be at least a few surprises. Opening a restaurant from scratch means being incredibly resilient and able to think on your feet to adapt to changes. A big part of that ability comes from knowing your numbers and having a clear picture of the playing field. That is gained through long nights basking in the computer monitor's glow, working on your spreadsheets. There's just no other way to go about it if you're serious. Your hard work preparing a detailed business plan will pay off when your restaurant opens on a solid footing. These categories and subcategories should help you start thinking about some of the big costs and the little costs that you can start listing right away. As you discover more expenses (delivery fees, additional permits, etc. ), you can add them to your list to keep a live update of the estimated prices of your operational costs. 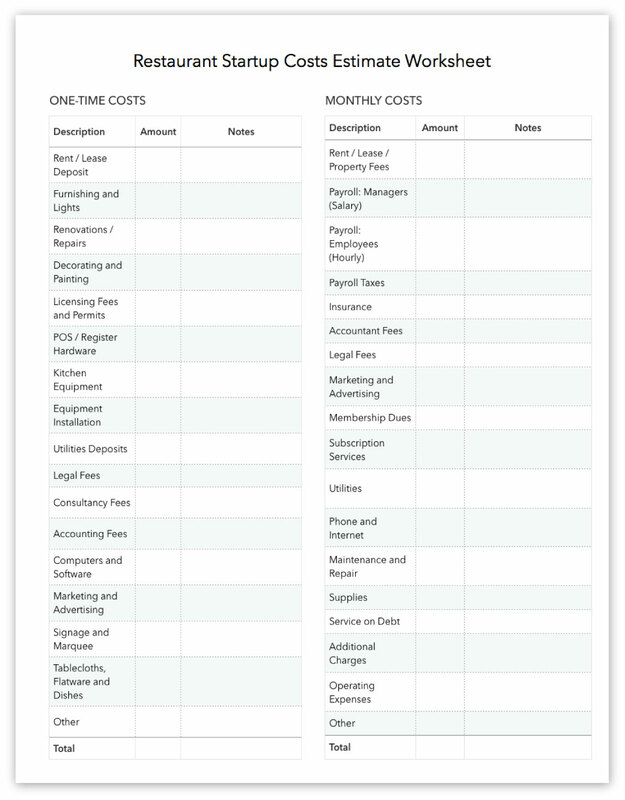 List as many startup costs as you can think of in your spreadsheet and try to find a dollar-cost for each one. If you don’t know yet, it’s better to guess and have it on the list, even if it’s not accurate yet. Premade templates for startup restaurant cost estimates are a helpful place to start but are not extremely detailed. You may want to use both a detailed and simplified versions of estimate sheets. Once you have estimated your startup costs, you can estimate how much money you’ll need in reserve after starting up. It may take a few months for your restaurant to bring in enough money to be self-sustaining yet you’ll still need to cover operational costs in the meantime. Depending on your sales volume, you may have to cover those monthly operating expenses out of pocket. Keep some money in reserve for after opening or your restaurant will have to close! When you get serious and start working on your business plan, you’ll separate your startup costs into Expenses and Assets. This is mainly to do with taxes. Expenses and Assets are treated differently. It’s important to know the difference between Expenses and Assets when it comes time to do taxes. The IRS has a particular way of looking at things, and while Expenses and Assets are both costs that can be deducted on your taxes, they are handled differently. As a quick rule, assets are major purchases of something tangible, that has an ongoing utility. Expenses are the cost of doing business and don’t leave you with much to show for them. When you deduct expenses on your taxes, you do it all at once. When you deduct assets, it must be done over time. Although this might seem less than ideal when you’re a cash-strapped startup, deductions on depreciating assets can help you stay out of a higher tax bracket when your restaurant is generating money. Purchasing high-quality assets that work reliably for many years and let you continue to deduct over a long period are like a gift that keeps on giving. Since expenses are fleeting, momentary and eat up cash, it's important to limit them as much as possible and always negotiate to get the best deal. The key takeaway is that assets depreciate and should be deducted on tax forms as assets. 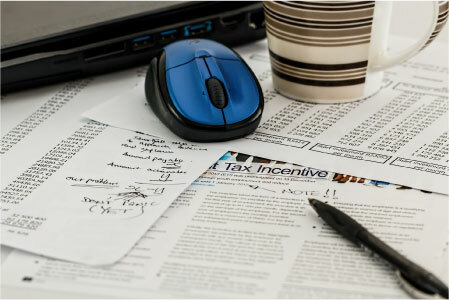 Expenses are deducted all at once and are reported on tax forms as expenses. The exception to the rule. 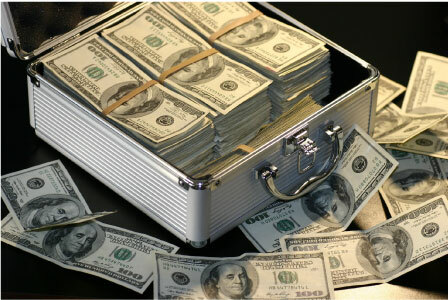 Small businesses need a lot of working capital and for the time being an exception has been introduced into the IRS rules that allow small businesses to optionally deduct assets like an expense; up to $250,000 the year they are put into operation. Taxes and regulations are always changing though. Also, you want to work with a professional accountant who can evaluate your unique situation and can help you decide the best way to take deductions for an asset.